The post people think proves that Phoebe and Sam Burgess have split. 1. The post from Phoebe Burgess that convinced everyone her marriage was over. 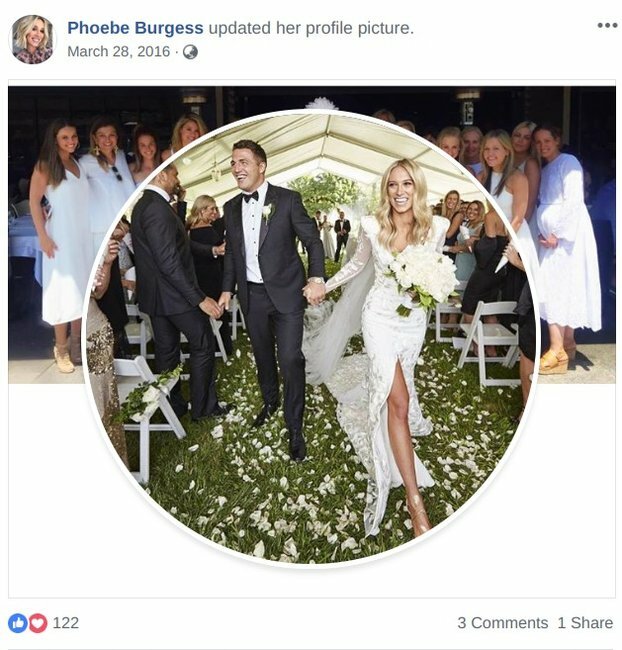 While Phoebe Burgess is yet to comment on reports she’s split from her NRL player husband Sam Burgess, a telling update to her Facebook profile may hint that the rumours are true. 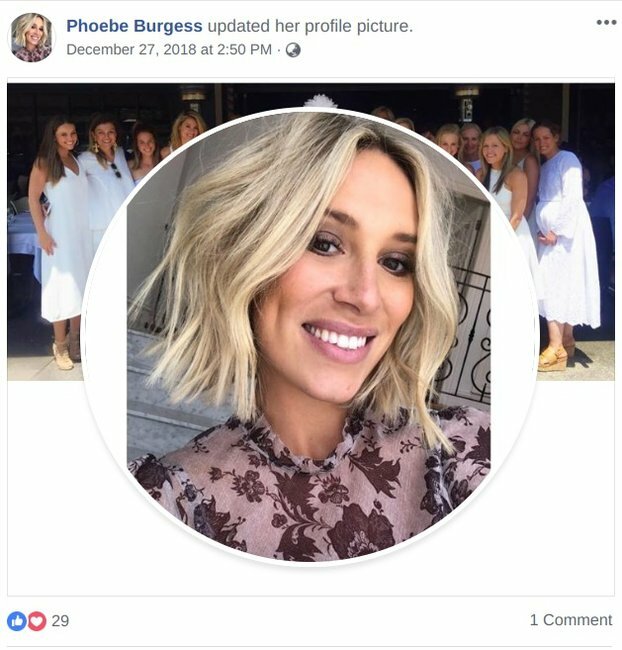 Just two days after Christmas – which, judging by an Instagram photo, she didn’t spend with Sam and his family at Watsons Bay Boutique Hotel – the mum of two changed her Facebook profile pic for the first time in almost three years. The Bobbi Brown ambassador removed a photo from her Bowral wedding in favour of a selfie as her new profile pic, which many, considering the timing, think could be a sign she has left her husband. 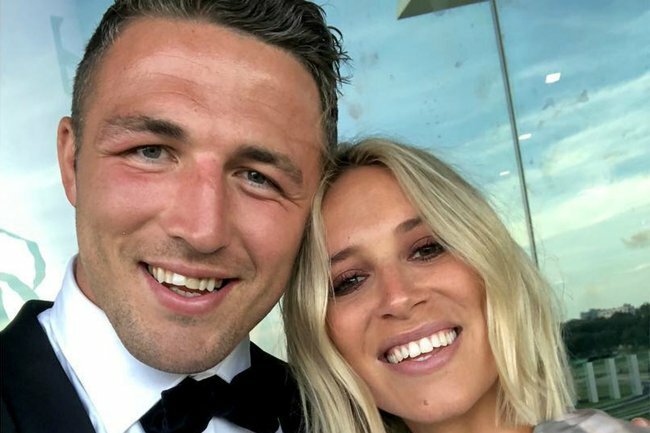 Sam Burgess was embroiled in a sexting scandal last year which involved allegations of lewd images sent to a young woman from one of Burgess’ social media accounts. He was ultimately cleared by the NRL of any wrongdoing. However, it was the Instagram photo shared on Christmas Day that sparked rumours of a marriage breakdown between he and Phoebe, who gave birth to a baby boy on December 11. Neither Sam or Phoebe have commented on the split rumours. 2. I&apos;m a Celebrity just dropped a very obvious clue about one of this season&apos;s contestants. Network Ten have just dropped another HUGE clue about who will be heading to the jungle for this year&apos;s I&apos;m a Celebrity...and everyone&apos;s pretty sure they already know who it is. The cheeky clue tells us it&apos;s an "infamous" journalist known for one particular on-air gaffe. Pfft, could you have made it any easier, Ten? 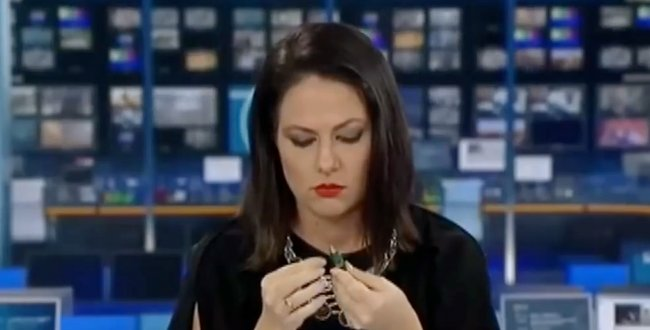 If you haven&apos;t already guessed, News.com have put their money on former ABC newsreader Natasha Exelby, who went viral in 2017 when she failed to notice the camera had cut to her in the studio, catching her fiddling with a pen. Ahh, who could forget this iconic TV moment? So far, we know there&apos;ll be two TV critics (ahem, Gogglebox stars), a controversial TV host, a TV presenter, comedian, famous foodie, gossip guru, two controversial politicians and a footy star. Who could they all be?? Well, we don&apos;t have long to wait to find out - the season premieres on Sunday, January 13. 3. Why this Big Bang Theory star chose to step away from the show. When Executive Producer Chuck Lorre announced that The Big Bang Theory would not be finishing their 12-season run in May 2019, fans were distraught. The stories of Sheldon, Leonard, Penny and co. would be coming to an end, and it was believed at the time that Jim Parsons was the man behind the decision, after the 45-year-old told Lorre that he was ready to move on. Now, speaking to Entertainment Weekly, he explained his decision why. “It’s both as complex and as simple as just feeling innately that it was time. It speaks to a lot of things, none of them bad. There is no negative reason to stop doing Big Bang,” he said, explaining he simply felt like they "couldn’t keep doing it" and they had "chewed all the meat off this bone”. "I’m firmly in my middle age now. I don’t know how much longer I can wear (the T-shirts) without looking really long in the tooth." And while there&apos;s nothing wrong with a 46-year-old man in a t-shirt, we can see where he&apos;s coming from. Despite this, when asked about his next move, the actor remains unsure. “In a way, it’s exciting. What is this next chapter of life? What is this next chapter for all of us? It will be very, very sad when it does end, even knowing (I am) okay with it," he said. 4. There was a School of Rock reunion and we feel LITERALLY 100. In very alarming news, it&apos;s been over 15 years since School of Rock debuted and oh my goodness, how on earth did that happen? However, keeping our noughties rockstar memories alive, some of the cast members got together for a reunion last weekend and errr... they&apos;re all fully grown adults. From left to right we have James Hosey (Marco), Brian Falduto (Billy), Becca Brown (Katie), Zach Infante (Gordon), Aleisha LaNae’ (Alicia), Caitlin Hale (Marta), and Angelo Massagli (Frankie). There were a few faces missing from the reunion, with Jack Black was notably MIA, as well as Miranda Cosgrove (Summer), Robert Tsai (Lawrence), Kevin Clark (Freddy), Joey Gaydos Jr. (Zach), Maryam Hassan (Tomika) and Mike White (the real Ned Schneebly). This isn&apos;t the first time the cast has come together either. In 2013, the band came together for their 10 year anniversary, where they performed a very extended version of &apos;Long Way To The Top,&apos; and we can confirm the rock is still strong in these kids adults. 5. A decade before MeToo, there was a red carpet moment we&apos;ve all forgotten. What was he thinking? 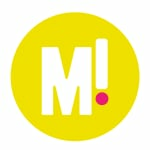 Image: E! Although at the time Mirzrahi justified his actions because of his sexuality (the designer is gay,) it&apos;s something that has a lot of people talking in the current MeToo climate. Scarlett has since denounced the designer&apos;s actions and said “it was definitely in poor taste,” you can read about her statement in our earlier post here.